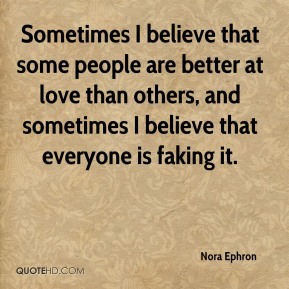 Sometimes I believe that some people are better at love than others, and sometimes I believe that everyone is faking it. 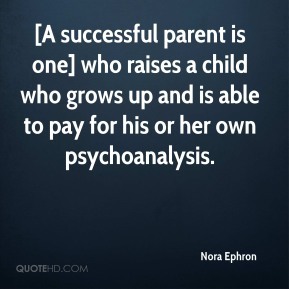 [A successful parent is one] who raises a child who grows up and is able to pay for his or her own psychoanalysis. 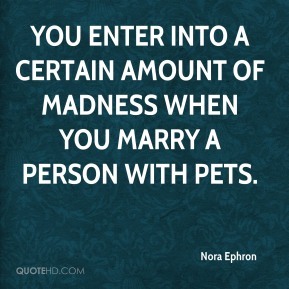 You enter into a certain amount of madness when you marry a person with pets. 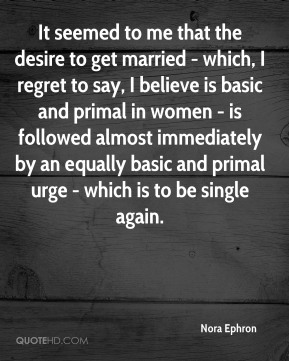 It seemed to me that the desire to get married - which, I regret to say, I believe is basic and primal in women - is followed almost immediately by an equally basic and primal urge - which is to be single again. 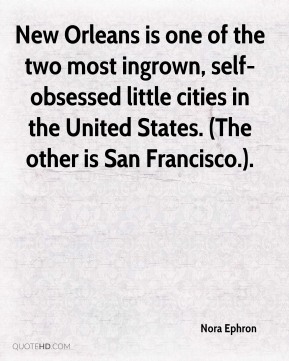 New Orleans is one of the two most ingrown, self-obsessed little cities in the United States. (The other is San Francisco.). 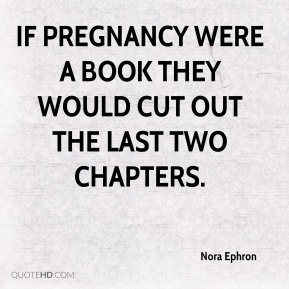 If pregnancy were a book they would cut out the last two chapters. 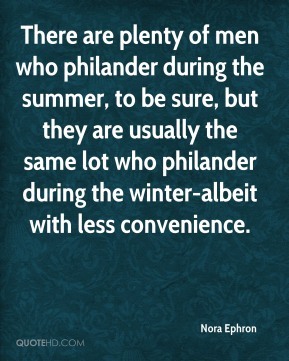 There are plenty of men who philander during the summer, to be sure, but they are usually the same lot who philander during the winter-albeit with less convenience. 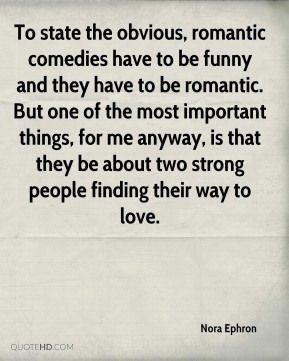 To state the obvious, romantic comedies have to be funny and they have to be romantic. But one of the most important things, for me anyway, is that they be about two strong people finding their way to love. Joan is very funny. 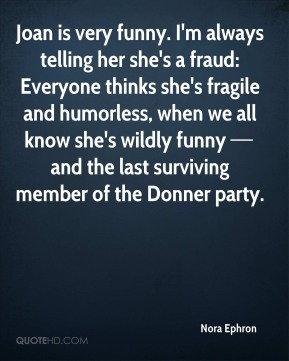 I'm always telling her she's a fraud: Everyone thinks she's fragile and humorless, when we all know she's wildly funny  and the last surviving member of the Donner party. 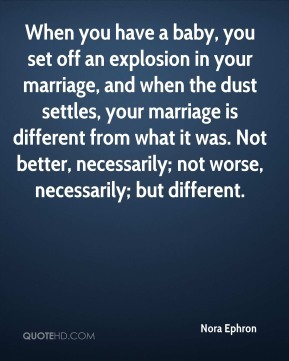 When you have a baby, you set off an explosion in your marriage, and when the dust settles, your marriage is different from what it was. Not better, necessarily; not worse, necessarily; but different.